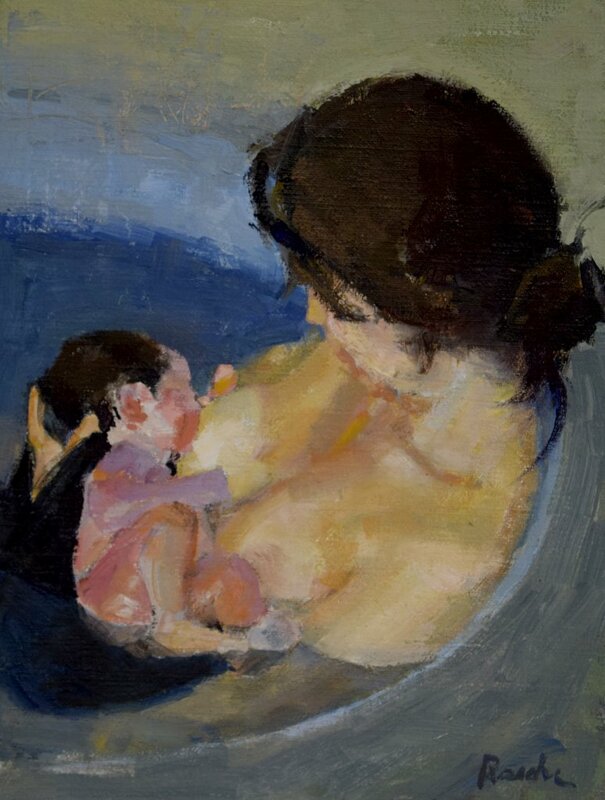 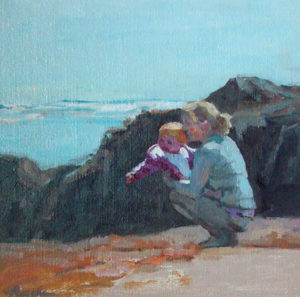 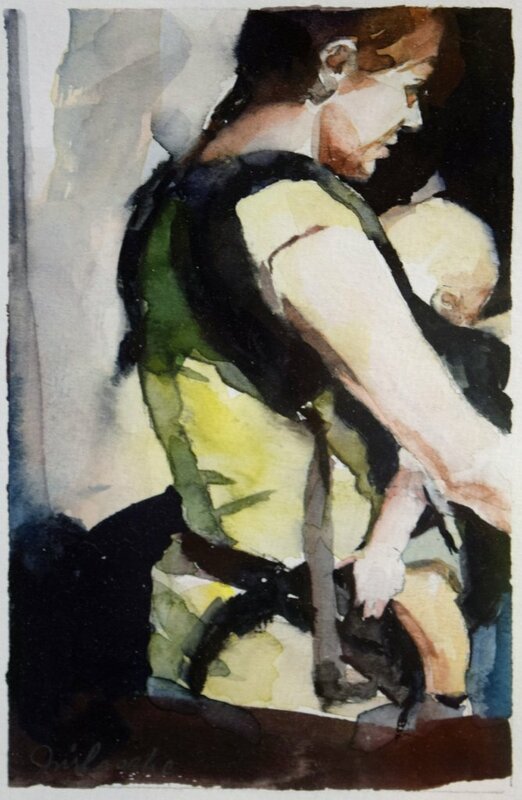 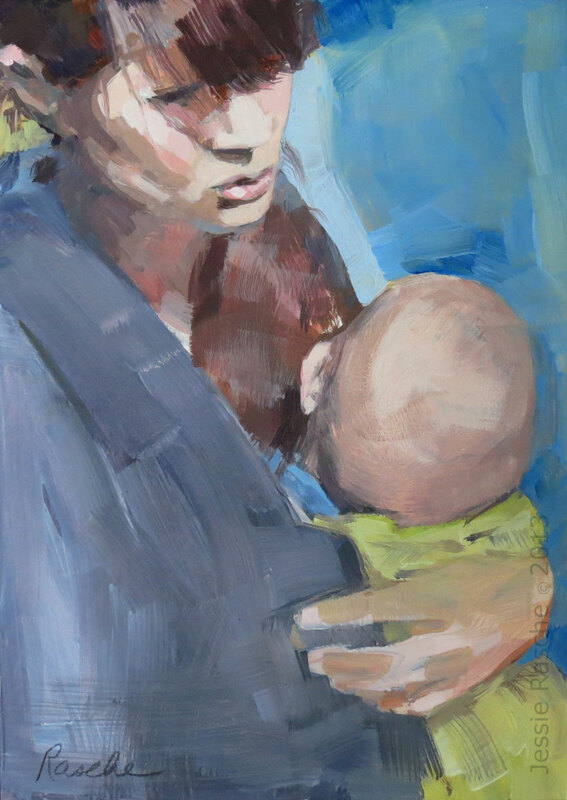 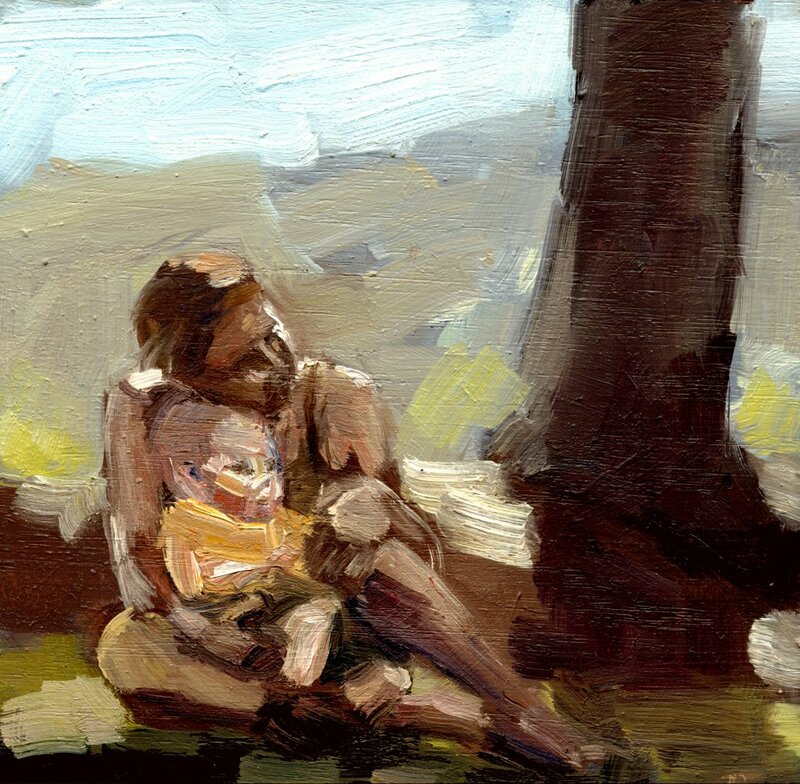 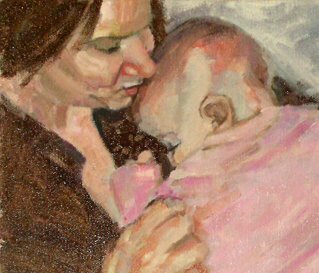 Julia and Emily, miniature mom and baby portrait painting. 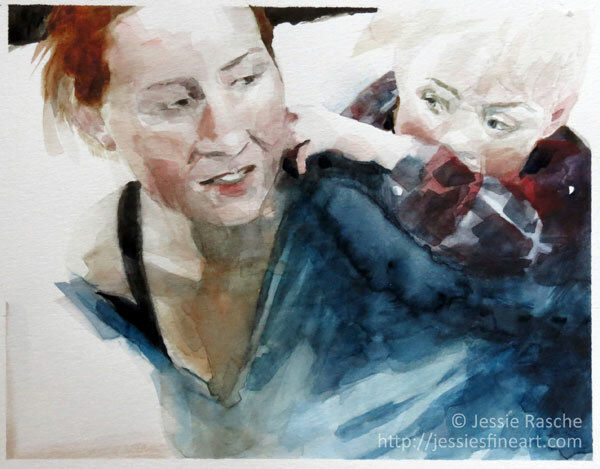 Jessie Rasche is an American Portrait Artist serving Minneapolis, MN, Sioux Falls and Brookings, SD. 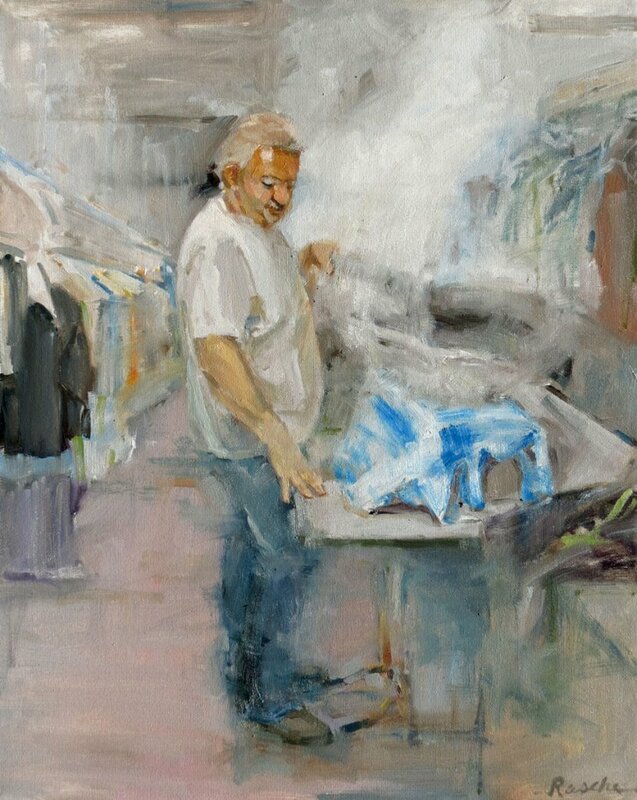 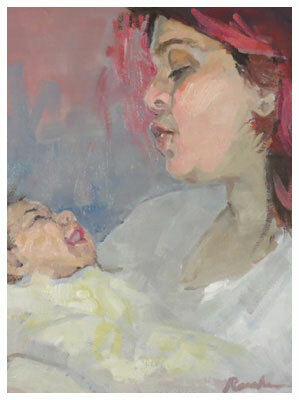 Her work is internationally collected, and she has 10 years experience as a portrait artist. 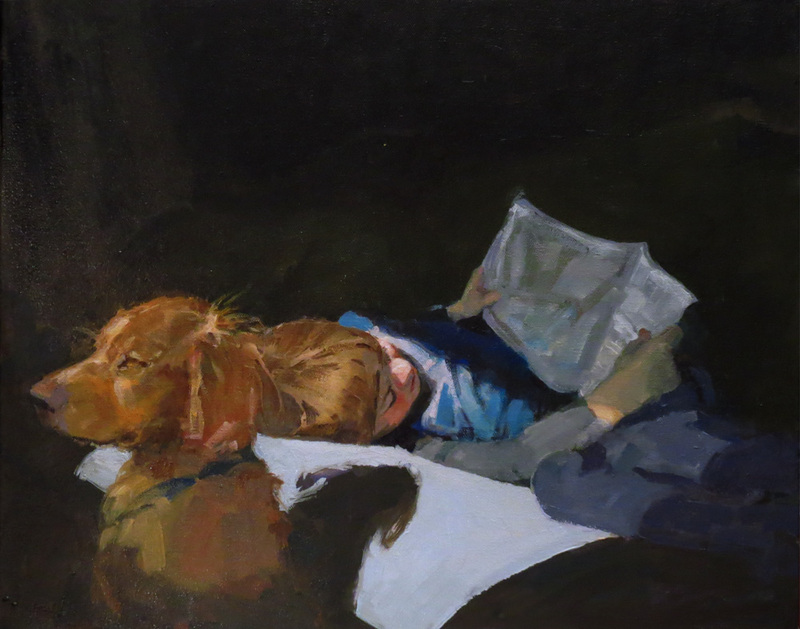 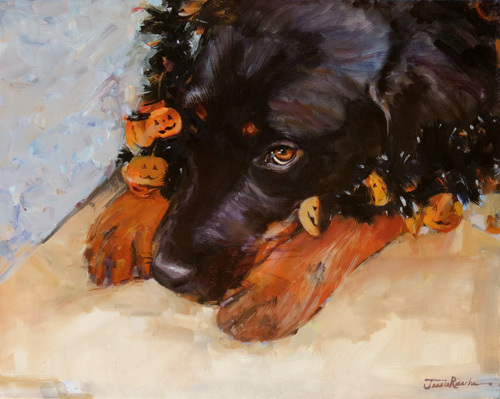 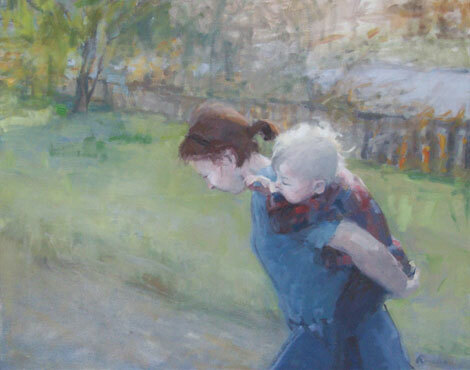 She specializes in painting children in a modern realist / impressionist style. 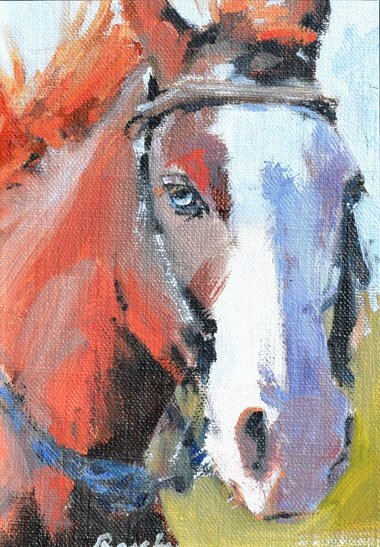 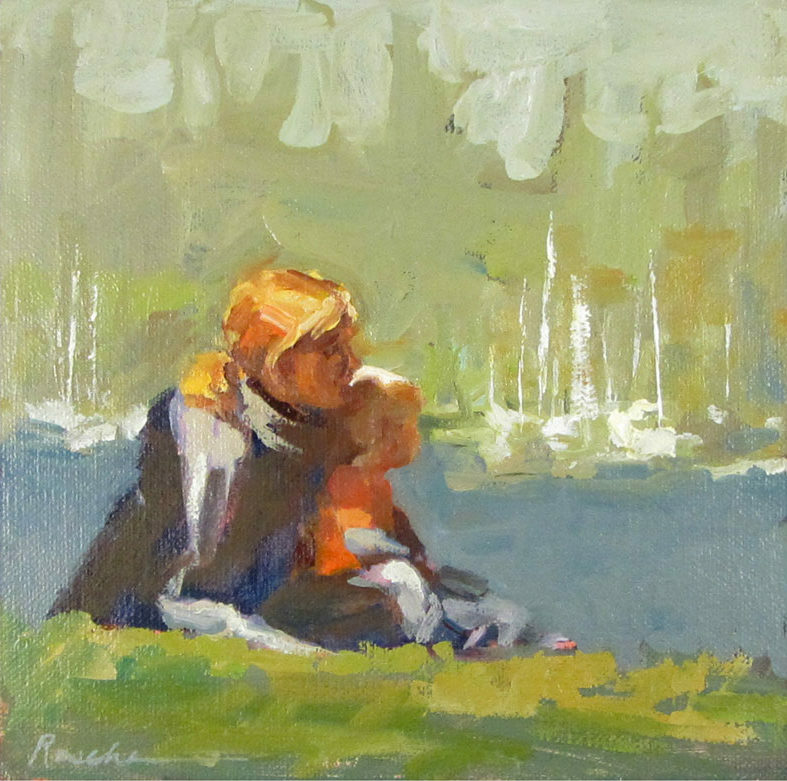 Rasche’s artwork is influenced by the masters of the American Renaissance and the great Impressionists. 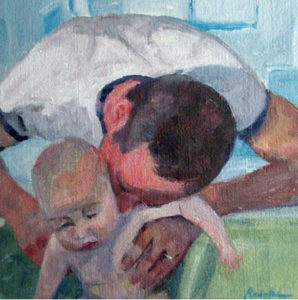 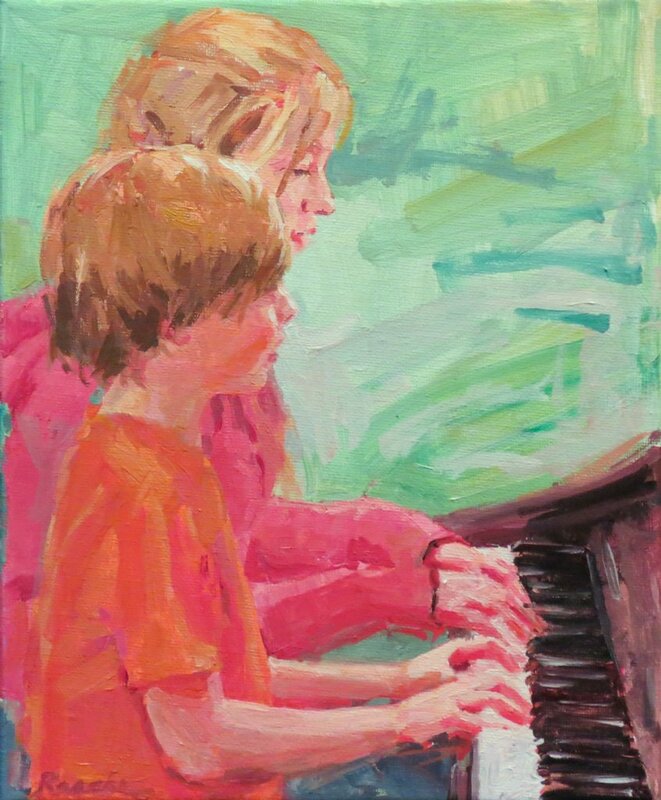 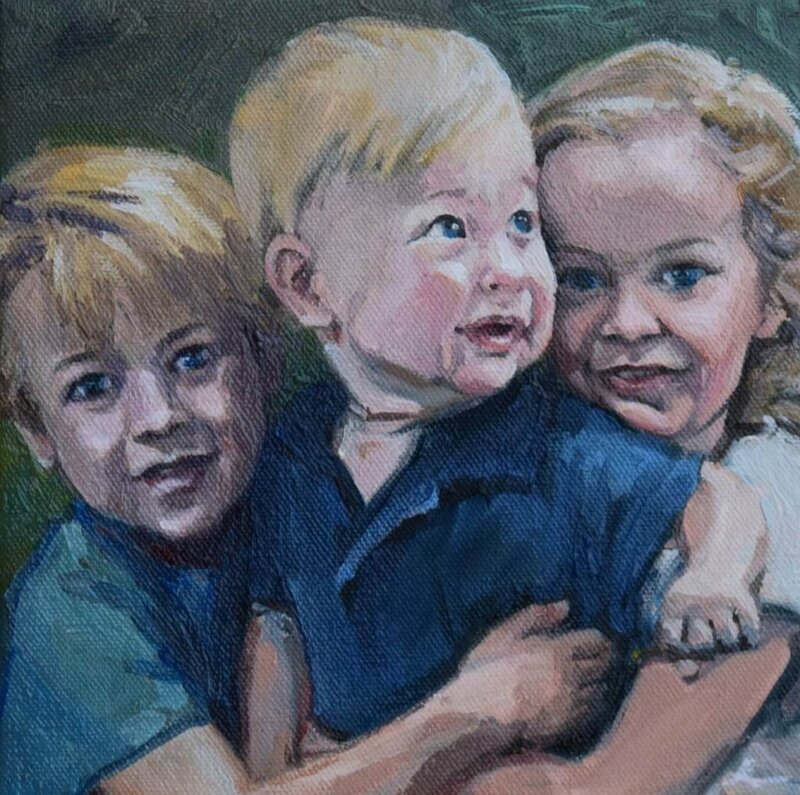 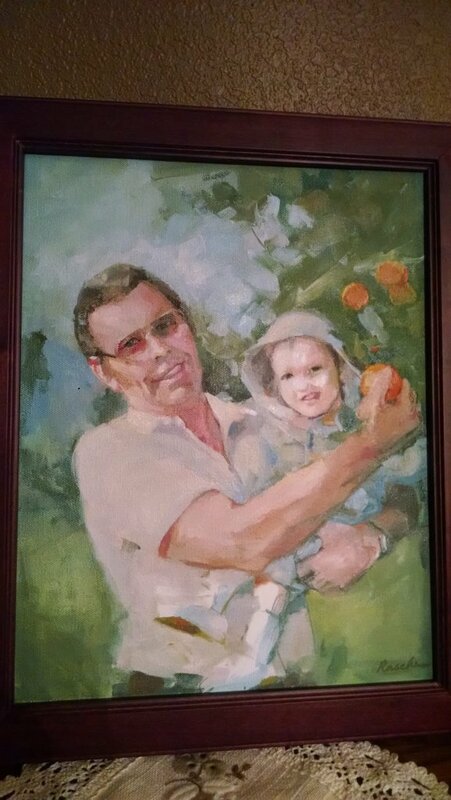 Capture a fleeting time in your child’s life in an original and lasting heirloom portrait painting. 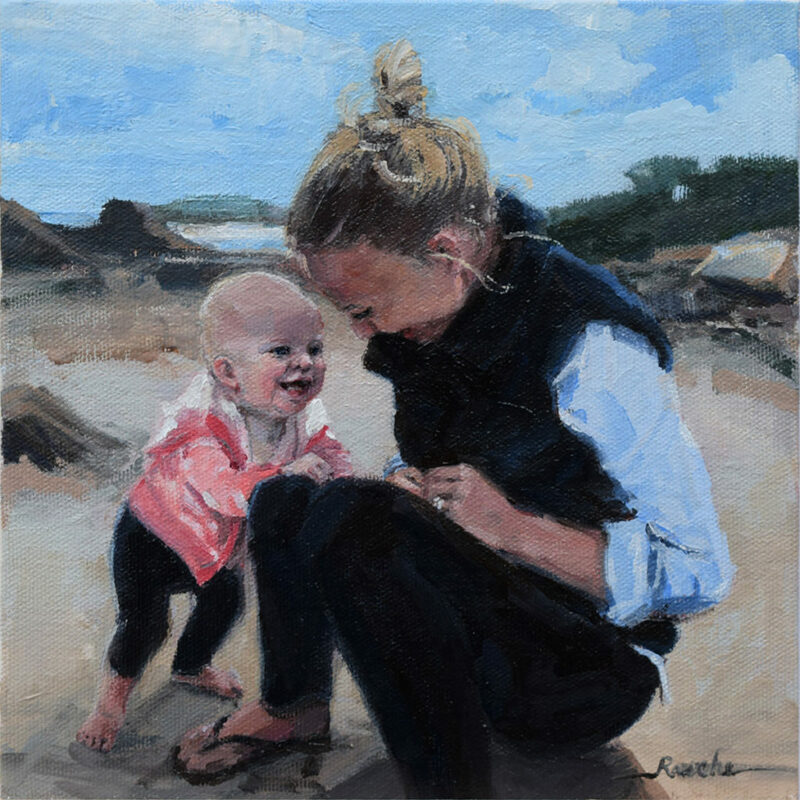 Collectors of Rasche’s portraits are both parents and art connoisseurs. 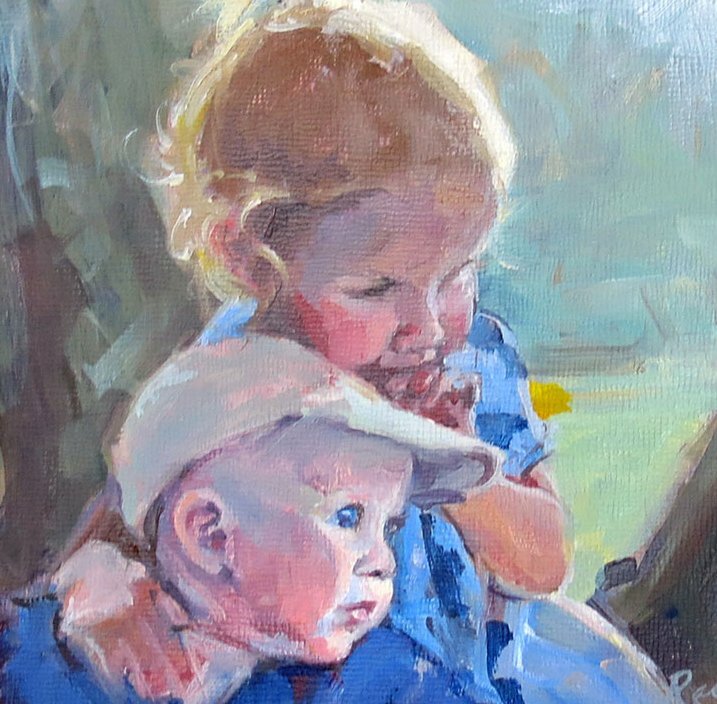 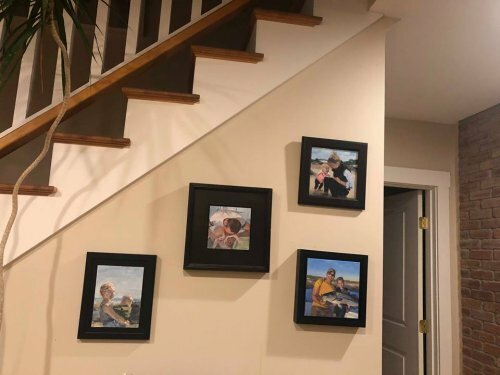 They want to capture a delightful and fleeting time in their child’s life in a beautiful painting that will enrich their home. 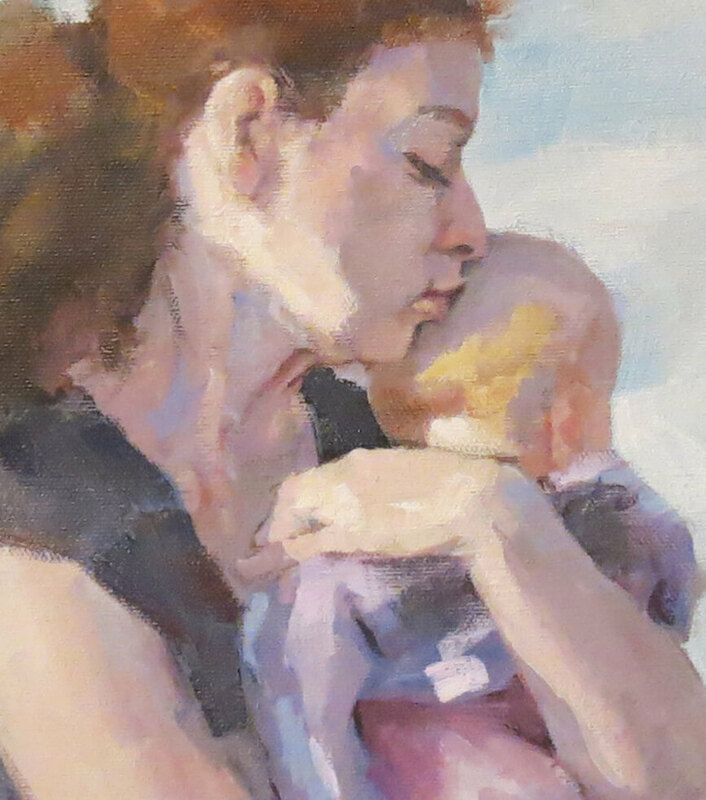 The portraits capture the likeness of the sitter(s), their connection with each other, and their nature. 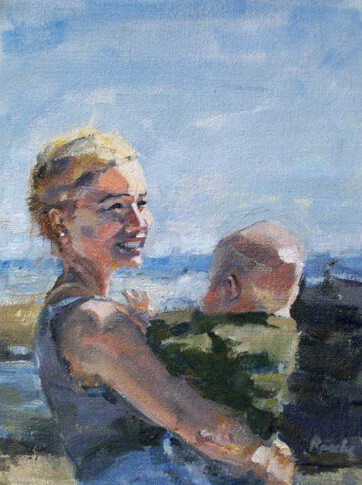 The joy of childhood, and the special baby bonding moments and the moments of joy between moms and young children are powerful, wonderful, and fleeting. 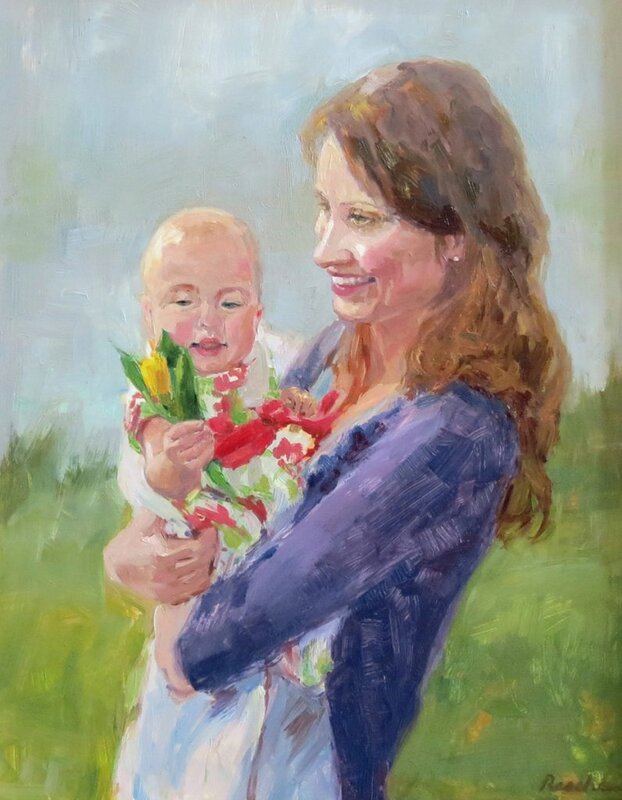 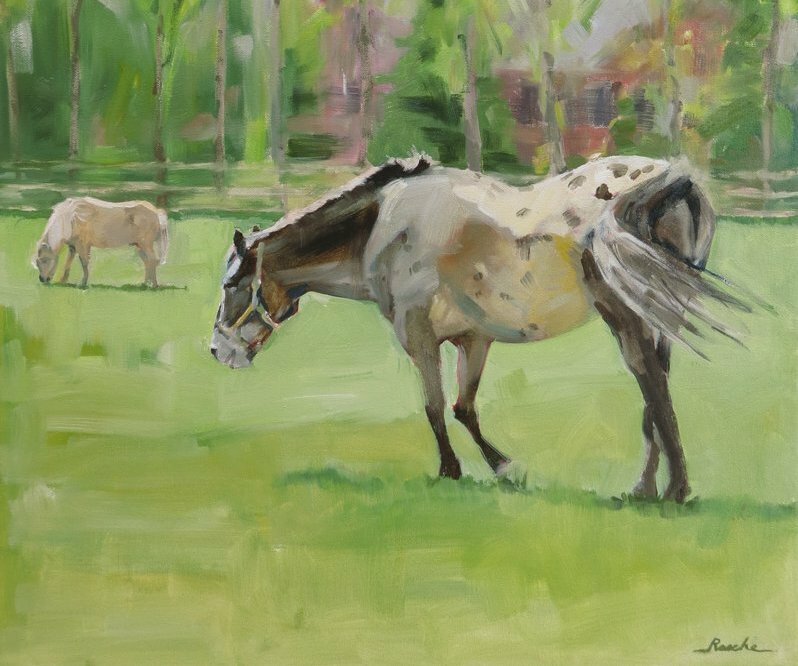 My mission is to capture this time in a beautiful portrait painting that will brighten your home and bring you joy on an ongoing basis. 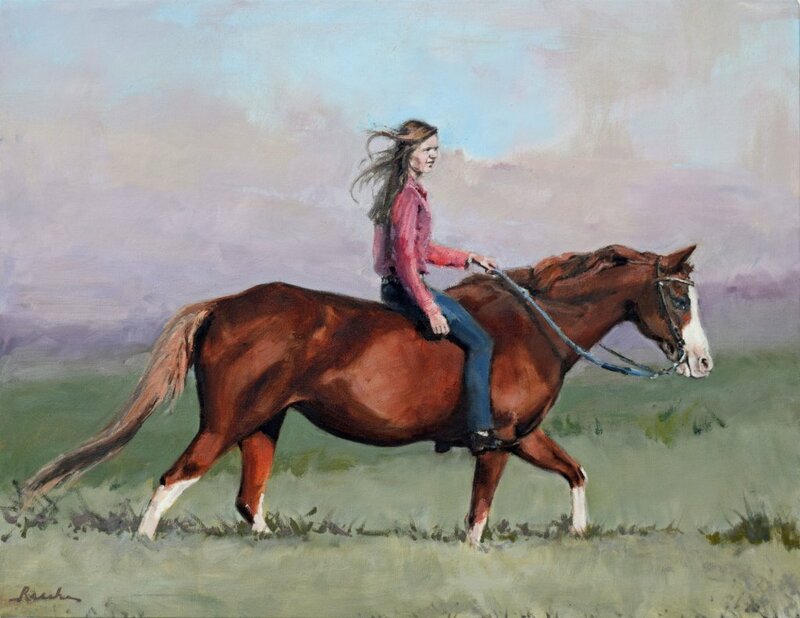 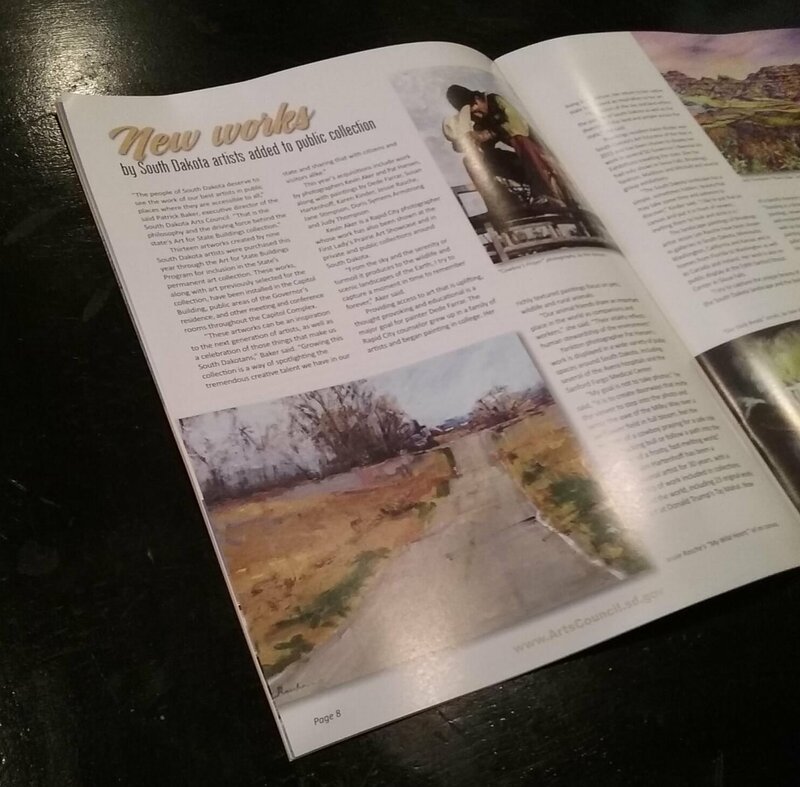 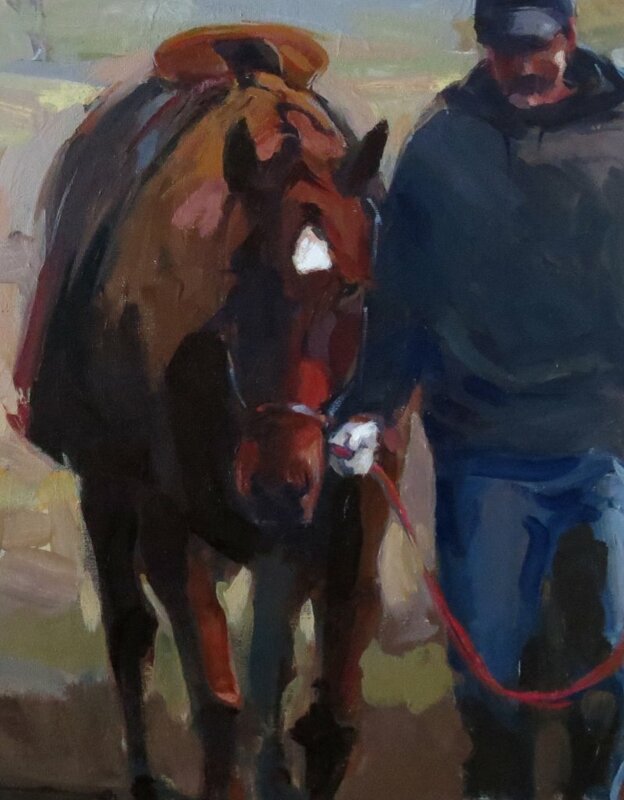 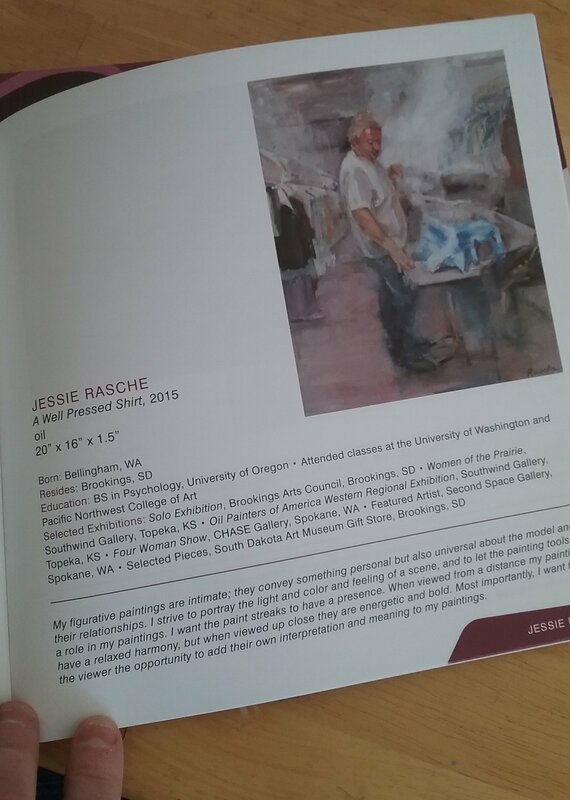 Recent Publications American Portrait Artist Jessie Rasche’s work has been seen in Hood Magazine, on KDLT, KSFY, South Dakota Magazine, Brookings Register, The Inlander and The Spokesman-Review. 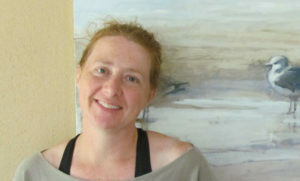 Artist represented by South Dakota Art Museum shop, SouthWind Gallery and Art Resources Gallery. 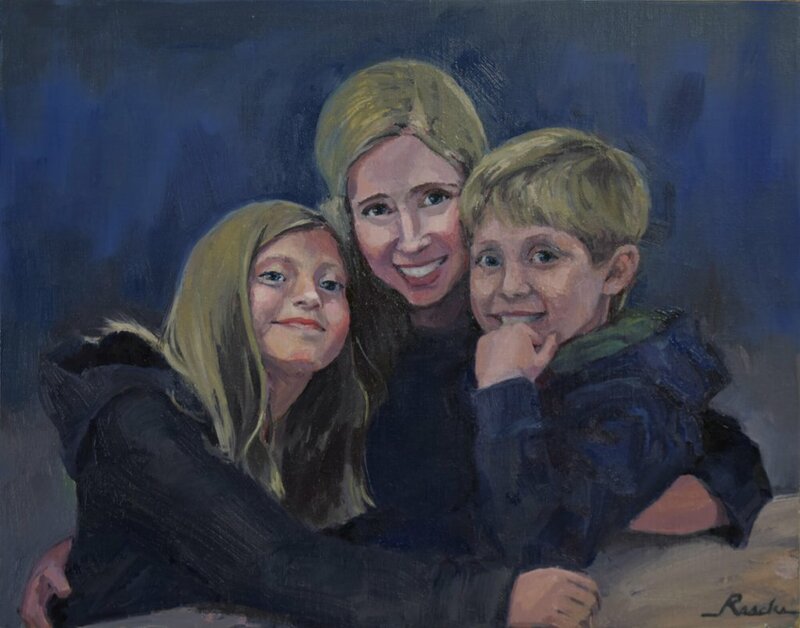 Call or email to discuss your portrait project. 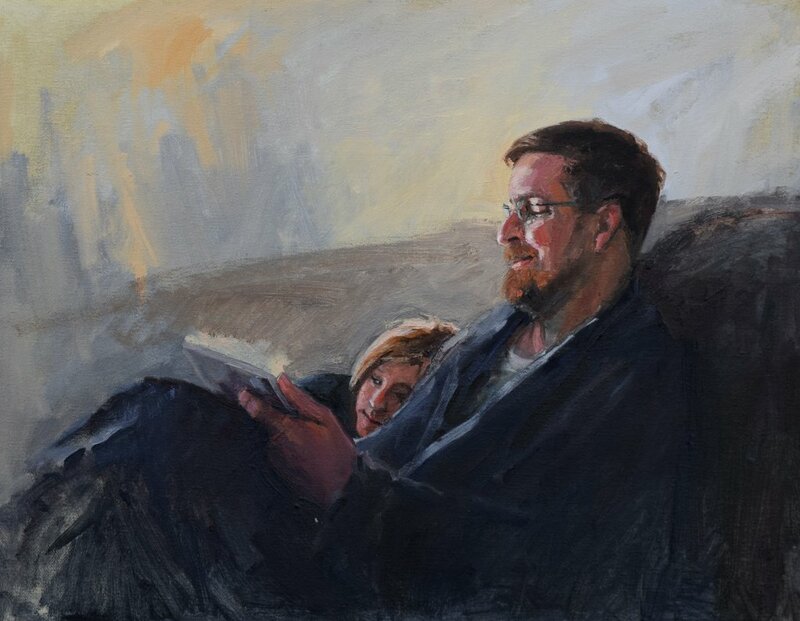 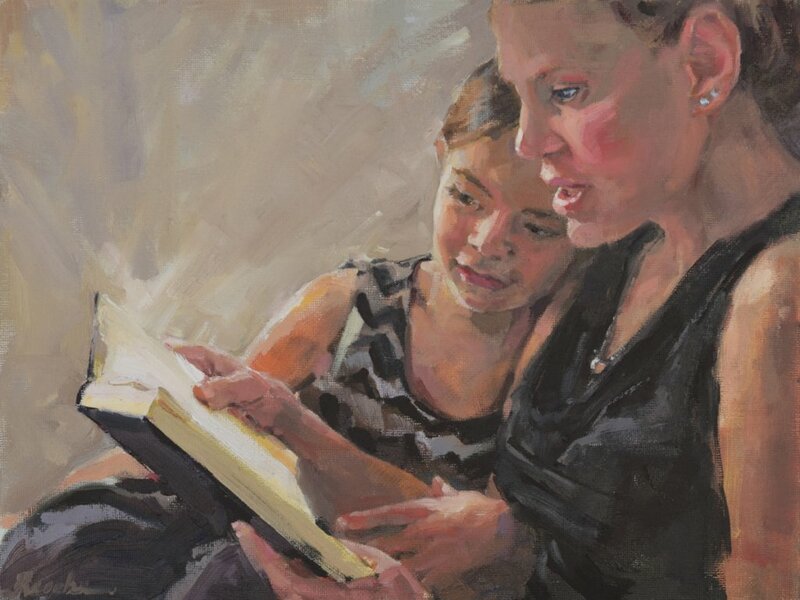 American Portrait Artist Jessie Rasche serves the area between Minneapolis, MN, and Pierre, SD, and the area in between, including Sioux Falls and Brookings, SD.